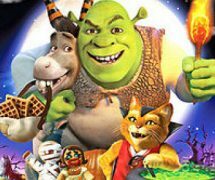 Halloween is creeping up really fast on us and if you’re like myself who doesn’t usually go out during the witching hour, then what better way can you spend your evening other than curling up on the sofa and watching the all new Shrek special? 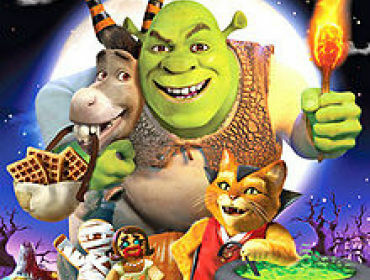 Shrek is back with his beloved fairytale friends to bring you spooks and thrills. The DVD includes a number of short films which include the characters in scary situations which are suitable for all the family. I don’t want to give away too much away of what happens but what you must know is that you can see some classics in the shorts such as Lord Farquaad‘s little dancing characters (You know, “Welcome to Dulock, such a perfect town!”) but with a twist. Old, deceased characters make a deadly return and the whole cast reunite to perform a parody of Michael Jackson’s hit song “Thriller”. Join Shrek and the gang as they share tales of spooks and screams as they attempt to scare one another. Including stories from Gingy the Gingerbread man, Puss and Donkey and of course, Shrek himself. The DVD also includes one short which is featured in Shrek: 4D in Orlando, Florida. This was a slight disappointment for me because despite being able to see the short for the first time after five years, it was nowhere near as good without the 4D effects and knowing what is meant to be where is slightly irritating, but it’s still something great to watch if you’ve never seen the well known American attraction. There’s also a short from another Dreamworks movie, Monsters Vs Aliens, which sees Bob fighting off deadly carrots in order to save his friends from turning into zombies. This DVD is perfect for all the family on a night in. So pop to Tesco’s, get some popcorn and this highly entertaining DVD and you have a perfectly good night in on a pretty good budget! Shrek: Scared Shrekless is out now and is exclusive to Tescos.